Scholarship applications are now open for prospective students - apply today. Craig Monaghan joins us from 2019 as our new Principal. Learn more about our teaching philosophy. 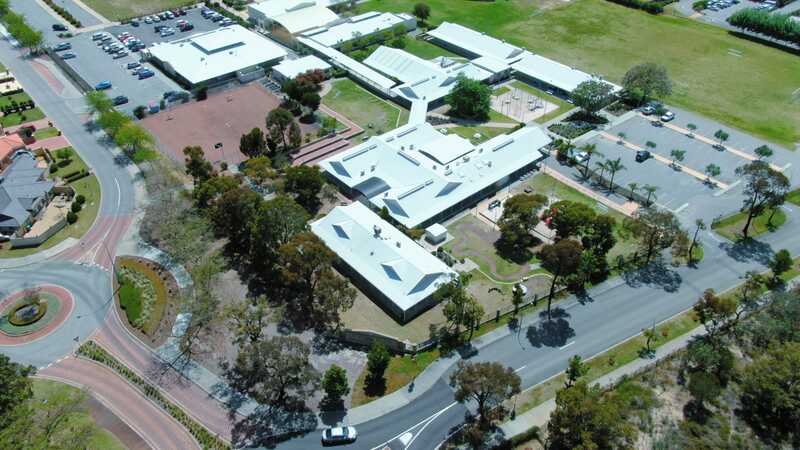 St. Andrew’s Grammar is an idyllic school community that is centrally located in the Perth suburb of Dianella. We are a K-Year 12 co-educational school and are proudly Hellenic in nature, building traditions around these values. The cultural diversity among the student population is an enriching aspect of the school’s development. Being a Grammar School, our emphasis is on high academic standards and the social and emotional welfare of every student. We are a small school with family values, a strong sense of community and pride ourselves in knowing every student, their strengths and any areas they need to improve. We are unashamedly an academic school which encourages every child to aspire to their own level of personal excellence. We genuinely believe that a happy child learns best and we promote enjoyment and hard work. What makes St. Andrew’s Grammar such a wonderful school is our staff. They are very caring and strive in every way to deliver the best education available to our student body. Our dedicated staff ensure that positive relationships develop with every student and it is the wonderful relationships that are formed which ensures our school is a very special environment to learn. Our school is multicultural and welcomes all students. Visitors to the school comment on this and how well the students relate with one another and with our teachers. We have students from over 45 different nationalities and they learn to be genuinely accepting of all cultures. Our teachers model acceptance, understanding and respect for all cultures. St. Andrew’s Grammar means so much to me, I am growing up in such a friendly environment with outstanding teachers and friends. Since day one, they have always motivated me to do my very best. This school is unique because it is like a great big mighty family who always support and love one another. I have amazing friends here that always support me. I have seen many school and none of them were as warm as St. Andrew’s Grammar. What I like about St. Andrew’s Grammar is the kind teachers and students. I also like how the school is very cultural with Greek holidays, celebrations and food. The school is very multicultural with many cultures and religions. St. Andrew's Grammar also makes children learn by having fun and respects the right to be educated. These are the reasons why I think that St. Andrew’s is a unique and one of a kind school. What makes St Andrew’s unique? To me it is all about the culture and I love that you can share your religion and traditions with everyone. It is like travelling the around the world through other’s eyes. Another is the teachers, they help students with work especially those who need it, but didn’t ask for it. The principal and staff are so kind and will support everyone in every way they can. The aim of the School is to provide a stimulating early learning environment in which your child has the time, space and educational equipment, as well as the opportunity to play. In the Primary School there is a strong emphasis on the integration of the various Learning Areas which often leads to a thematic and holistic approach. The Head of Secondary School is responsible for the overall management of the Secondary School. The Secondary School is made up of two sub- schools: Years 7-10 and Years 11-12.